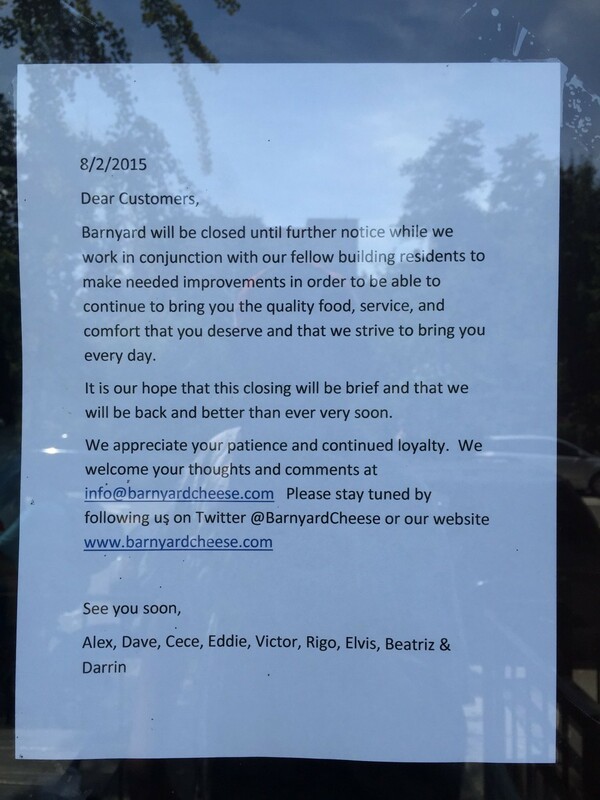 I passed by Barnyard on Avenue C today and the place is pretty much cleared out with a sign (dated August 2nd) on the door. It seems that they are closed until further notice while work is done on the building. There is nothing stated on their Twitter or Facebook accounts, but the note says ‘It is our hope that this closing will be brief‘. Update: They should be open by the weekend. 149 Avenue C btwn 9th & 10th St.